The original was a commission piece done for a man who was from Seattle who lived in Baltimore. 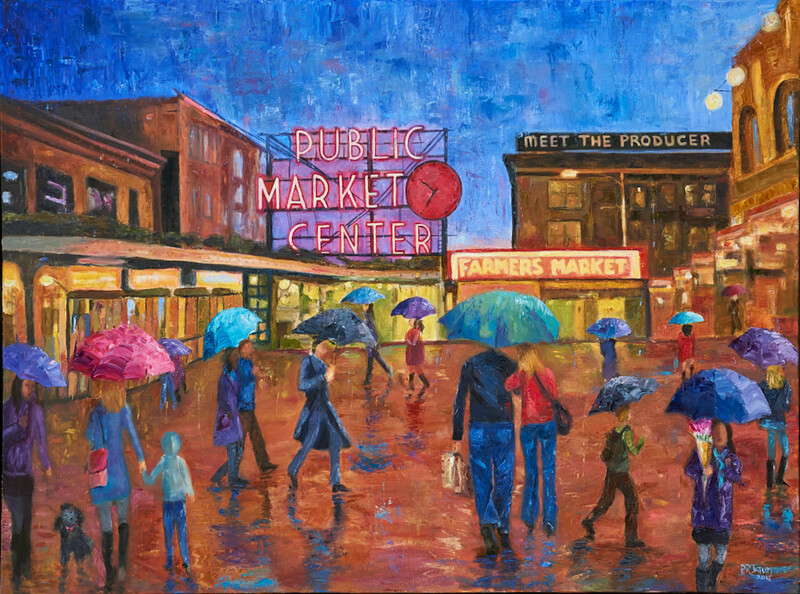 I have been to Seattle a few times and I tried to capture that feeling of the modern but also the feeling that this place is the oldest market in Seattle. It's the heart of Seattle.